These are the speed cameras in and around South Tyneside which have been activated most by drivers going too fast. The borough is covered by a network of fixed point, mobile, red light and speed concern cameras in a bid to keep its roads safe. The Northumbria Safer Roads Initiative, a partnership between Northumbria Police and local authorities, publishes various statistics around their use. These are the cameras which were activated most in 2017 (the latest year for which figures are available). Most of the drivers received fixed penalty notice fines. Note: Photos are to illustrate the routes where the cameras are, not their precise locations. This stretch of the Felling Bypass, just outside South Tyneside, is used by thousands of drivers going to and from the borough every day. There were 1,410 camera activations here. This is a core mobile camera site, and again it's a popular place for drivers to get caught going a little too fast, with 452 camera activations far fewer than the 1,999 caught in 2012. Again just outside the South Tyneside boundary, but another part of the route used by thousands of motorists going to and from the borough every day. 357 of them activated the fixed spot speed camera. 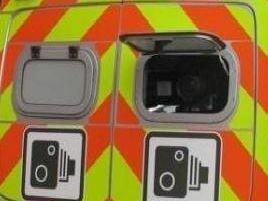 A core mobile camera site, 233 motorists were snapped going too fast here the lowest number in seven years.